You are here: Home › Blog › Grass in the vineyard, yes, but which grass? If you decide to stop using herbicides (chemically removing weed), then you can let the weeds grow freely and plough it down into the soil a couple of times a year. But it is becoming more and more common to sow a carefully selected crop or plant – a cover crop – in order to gain more control. It may be a plant that does not require so much water, or it could be e g clover, a plant that does not grow so high and that brings nitrogen to the vines when cut. 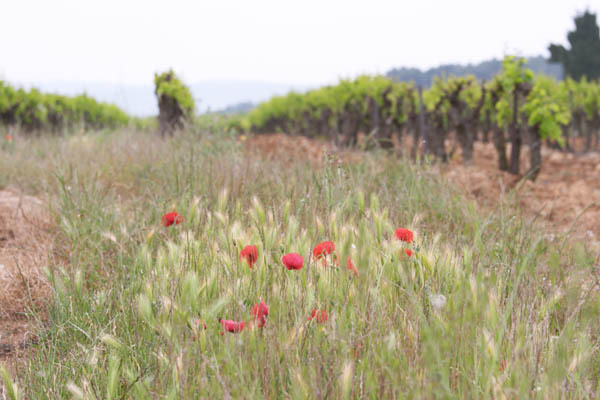 Different companies are now doing research to find the best types of cover crops for vineyards.